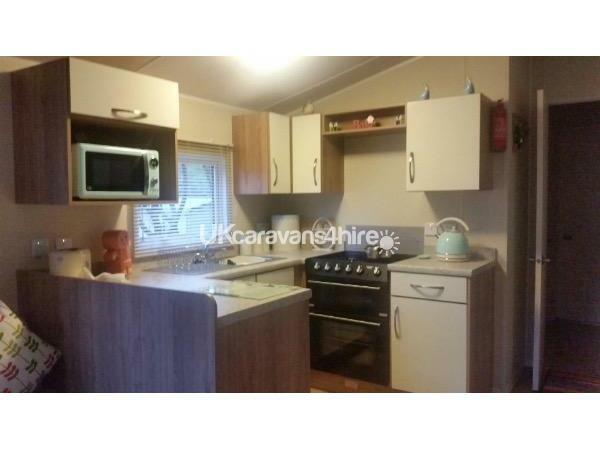 This caravan for hire has 2 bedrooms and is situated on Aberdunant Hall Holiday Park. 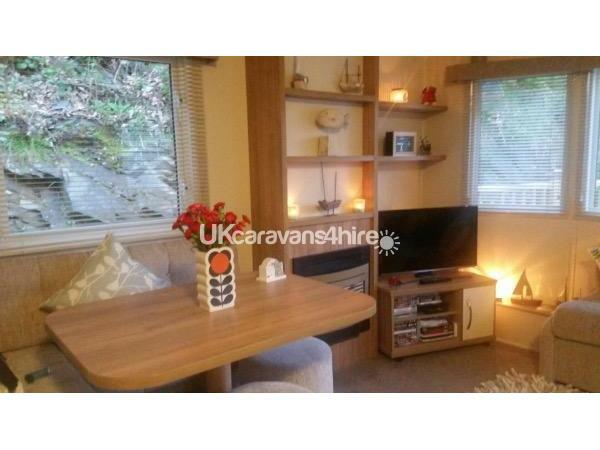 Hire a 2 bedroom 6 berth static caravan situated on Aberdunant Hall Holiday Park near the town of Porthmadog. 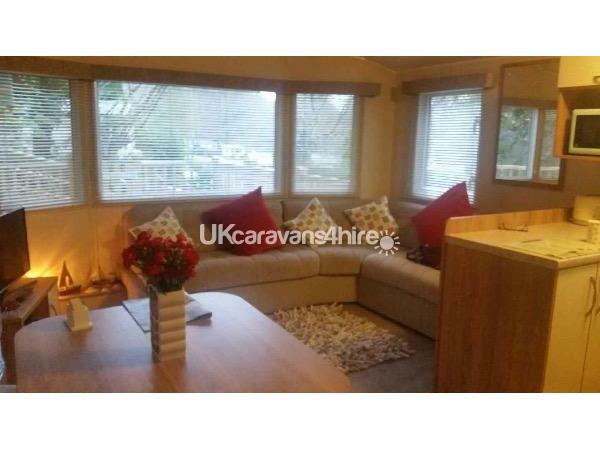 This beautiful caravan for hire is situated on Aberdunant Hall Holiday Park. 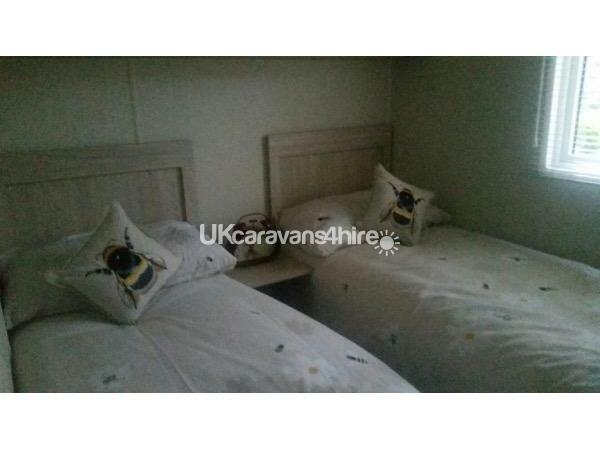 The caravan consists of two bedrooms and can accommodate up to six people with double pull out bed in the living area. 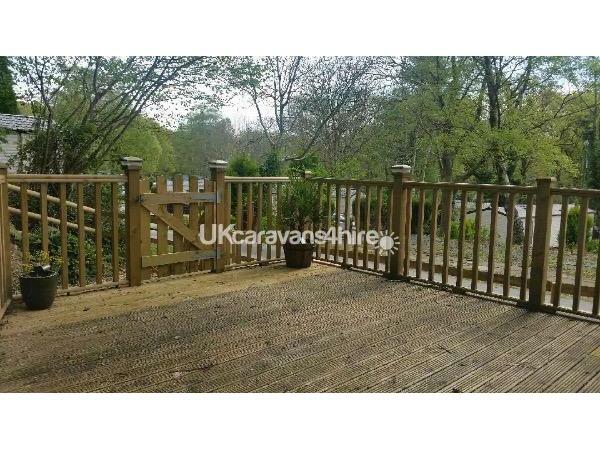 Brand new decking area with outside seating for those lovely evenings taking in the stunning views. 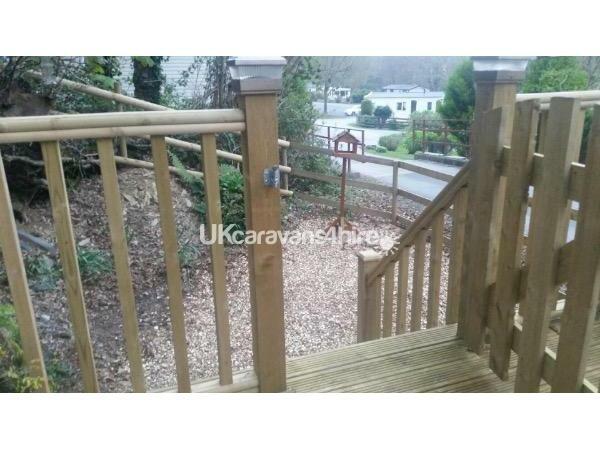 Home from home with everything your should need to make your holiday special including small front garden. 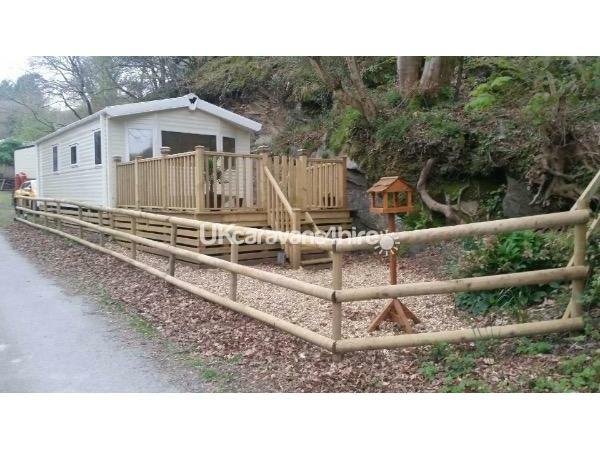 The park is set in woodlands between beaches and mountains of Snowdonia. Uniquely set with the Snowdonia national park. 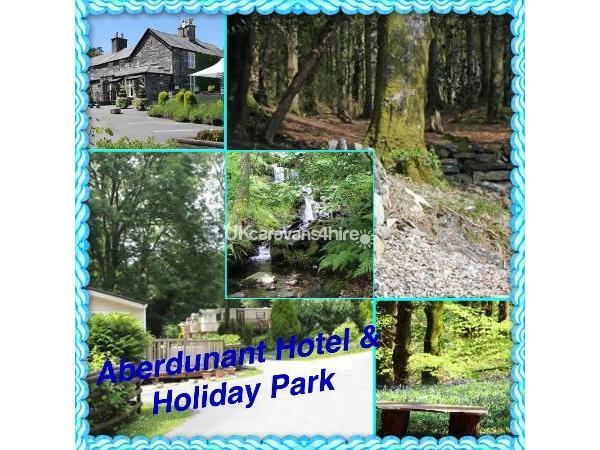 Aberdunant stands in 150 acres of beautiful woodlands, walks & nature trails, streams and waterfalls. Use of the beautiful country club hotel restaurant and bar for dining and socialising, The Glaslyn Lounge which is ideal for family meals & sunday lunches or Y bistro for for a more intimate dining experience. Lots of places to explore during your stay just a short journey away. The lovely black rock sand with miles of sandy beach that you can drive onto for days out. 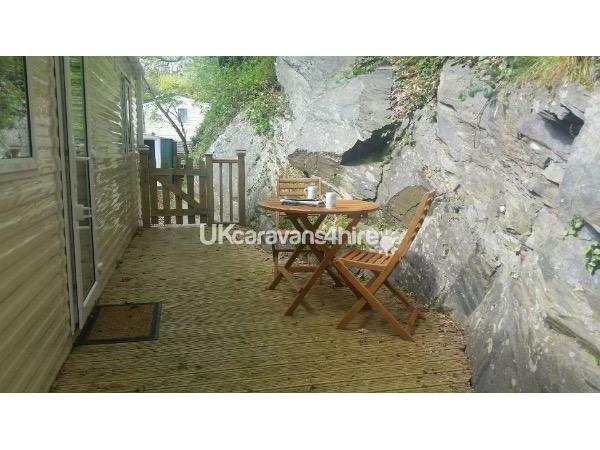 Portmerion, Snowdonia, Porthmadog to name a few.